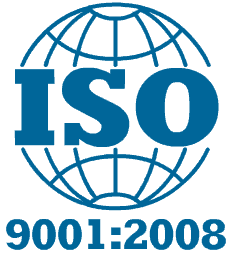 Since 2006, Technosoft is ISO 9001:2008 Certified! The ISO 9001-2008 is a general system of product quality criteria that focus on key elements, such as product functionality, reliability, usability, maintainability, portability, and efficiency. This certification supports our customer’s buying decision by ensuring a fully functional quality management system being in place and a world-recognized body confirming that we say what we do and we do what we say. Technosoft being a process-oriented quality centric company believes in excellence and we are continuously striving to improve our level of services. Our achievement of getting ISO 9000:2001 certification in early 2006 is evidence of our commitment to quality. Our successful implementation of QMS under ISO 9001:2008 just increased our commitment toward excellence and we started working towards CMMI level 2 implementation and Technosoft was appraised at CMMI level 2 in early 2008. Continuing with the same zest, we are now working towards CMMI level 3.